Simptech® – Known as a worldwide registered brand owned by GET-ELECTRONIC Inc – is one of the most desired brands in North America, Europe, and Asia. 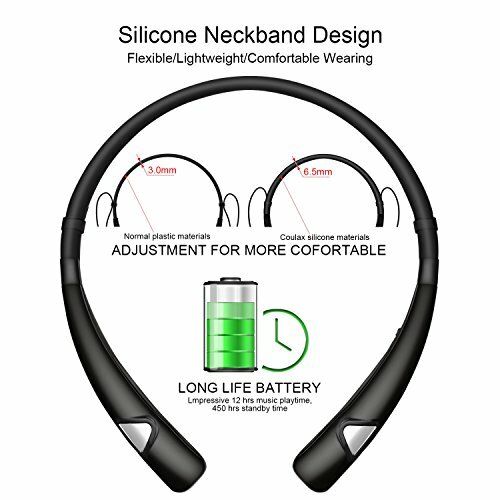 Simptech® HV980 is one of the most popular Wireless Bluetooth Neckband Headphones offered by GET Inc. and is one of the best selling Earbuds for Sports, Exercise, Running, Jogging, Workout, Office, School and Travel. These Wireless Headphones were carefully designed to provide you with the best possible comfort and experience. An ergonomic shape, combined with a completely Flexible ear-hook, prevents the earphones from moving during any activity. Furthermore, they are super lightweight, so as not to feel awkward. 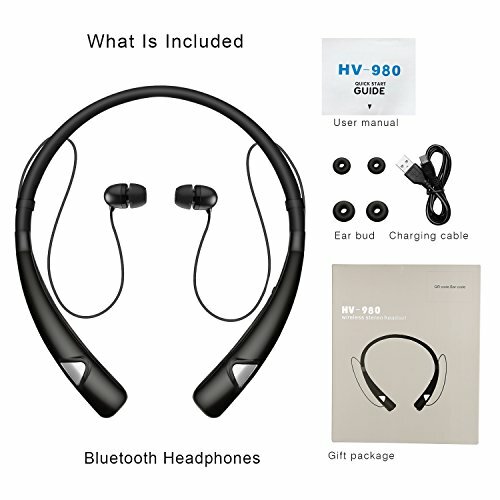 The Bluetooth Headset support dual Bluetooth pairing and are compatible with all Bluetooth enabled phones and other devices, including but not limited to iOS, Windows, Android, and more! 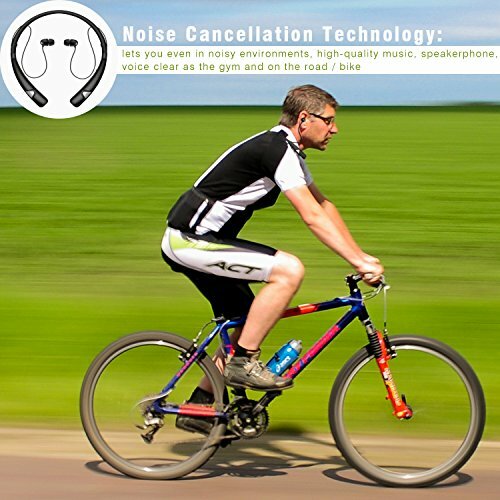 Built-in HD Microphones is safer and easier for Running, Sports, Gym, & Exercise! ◆Compatible with iPhone 6 6 Plus 5 5S 4 4S iPad iPod Samsung Galaxy S6 S5 S4 S3 LG Motorola Sony and iOS/Android Mobile Phones. Almost all smartphones and Bluetooth enabled laptops. 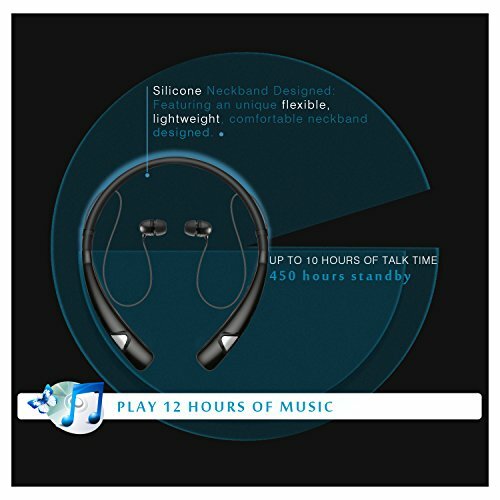 PREMIUM HEADPHONES: The Wireless Bluetooth Neckband Headphones Contain the Best New Technology, Including CSR Bluetooth V4.1 + EDR APT-X Audio Decode Technology and CVC 6.0 Digital Noise Reduction Technology, Providing High Quality Stereo Sound with an Intelligent Ambient Noise Filter for Crystal Clear Calls and Music. 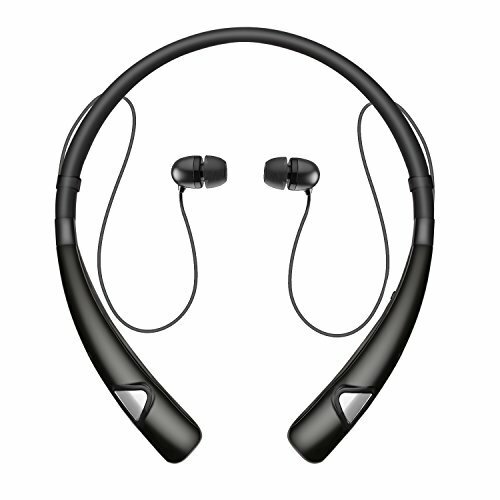 PREMIUM DESIGN: The Bluetooth Headset Ergonomically Fits to Your Ears, Providing a Comfortable and Secure fit. 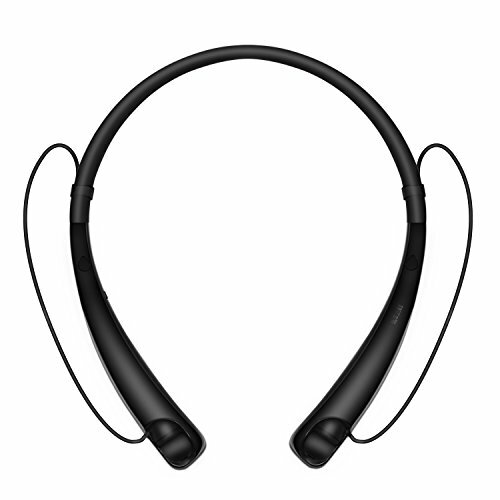 The Neckband is Fully Flexible for More Comfort. The Ultra-light Weight is Perfect for Driving, Sports, Exercise, Running, Jogging, Workout, Office, School and Travel! PREMIUM BATTERY: Built-in 160mAh Polymer Battery can Provide 12 Hours of Talk & Playing Time and 375 hours of Standby Time. A Super Strong Bluetooth Signal can Stay Connected 15 Meters Apart, with a Range Limit of up to 30 Meters! PREMIUM DEAL: This is a SUPER DEAL that You Can ONLY Find on Amazon. 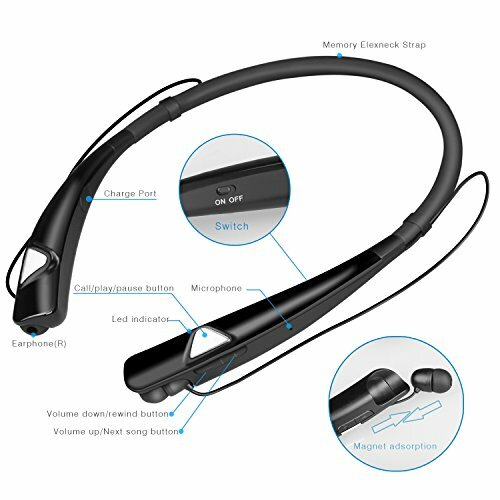 We Promise that this Bluetooth Headphones is the BEST Value.Take Advantage of the ONE Year Warranty Free Service that Can Only Bring Safety and Happiness to Your Mind!